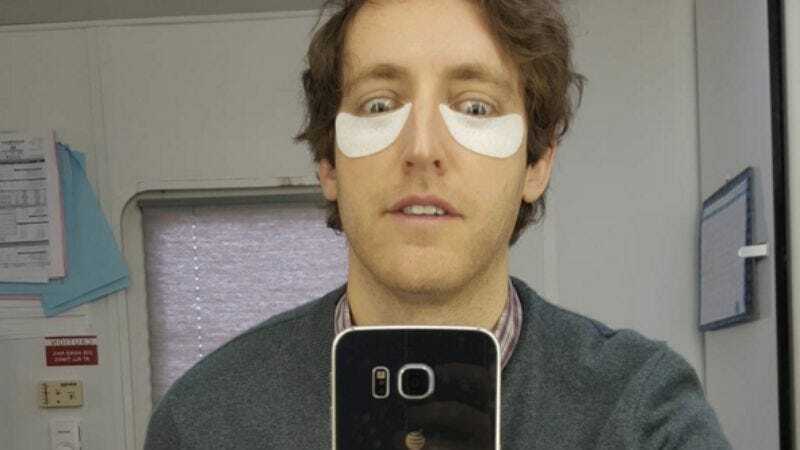 Though Thomas Middleditch might be best known to most casual fans as Silicon Valley’s Richard Hendricks, the bumbling creator of Pied Piper, he’s also a talented comedian and improviser, appearing on stage at UCB in L.A. alongside improv pals like Zach Woods and Ben Schwartz. He also puts those improv skills to good use on his Instagram account, where he frequently posts short, 15-second clips of whatever bit is currently going through his head. For instance, he recently channeled his offbeat (and amazing) sense of humor into a series of posts in which he plays “Friedrich, the German comedian.” Part “Sprockets,” part nihilist, and all weird, Middleditch’s Friedrich Instagram videos show the comedian playing pranks on friends, explaining white-board drawings, and just generally joking around—though, admittedly, Friedrich’s comedic stylings aren’t quite what Americans might be used to. While Middleditch seems to have bailed on the Friedrich concept for now, his Instagram is truly a treasure trove of weird comedy clips, including this one, in which the Silicon Valley star pretends to be a railroad superfan. This one, in which Middleditch tries to entertain Silicon co-star T.J. Miller, is also pretty good. Silicon Valley returns to HBO for its third season on Sunday, April 24.